China’s 12th Five-Year Plan (FYP), released in March, has been hailed as the greenest strategy document in the country’s history. Setting a raft of environmental targets and initiatives, energy and pollution issues were a key focus in the national economic blueprint. 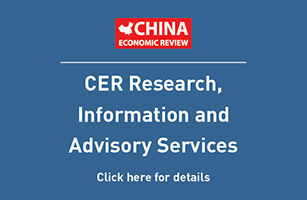 That has great implications for China’s clean technology firms: The plan calls for the promotion of seven Strategic Emerging Industries (SEIs) – three of which are directly related to green tech – including alternative energy, new-energy vehicles and energy-saving and environmentally-friendly technologies. To nurture those SEIs, China is considering investments of up to US$1.5 trillion over five years. Meanwhile, the government announced goals to cut carbon emissions and energy use, and stated plans to build 235 million kilowatts of new power generation capacity from clean energy sources by 2015. There are challenges in terms of how these goals will be made a reality, however. Previous rounds of policies have taken much of the low-hanging fruit in promoting the green market. In addition, there are problems with the direction of private investment in the green sector, infrastructure for delivering renewable energy, as well as challenges with the entry of foreign players and promoting indigenous innovation. Enterprise China examines five key issues that stand in the way of the country’s clean tech progress. The halt in nuclear power construction will undoubtedly intensify pressure on other alternative energy sources. The main renewable energy industries – solar, wind and hydro power – already have to meet aggressive targets, according to Yang Fuqing, senior advisor on energy and climate change at the National Resources Defense Council (NRDC). The FYP aims to increase the proportion of non-fossil fuels in primary energy consumption to 11.4% – up from 10% last year, which was not reached. “It’s not smart to put more burden on them,” Yang said. The key is to improve energy efficiency, particularly with demand-side management where responsibility for conserving energy is passed to end-users. “China’s energy efficiency is very low compared to other countries; energy intensity has been increasing with GDP. It will be a big challenge to reverse it and decouple the two,” Yang said. Although mandatory efficiency targets are in place for the most energy intensive industries, like steel manufacturing, the demand side of the market – which includes all types of energy consumers from individuals to factories and businesses – remains surprisingly inefficient. In northern China, for example, homes and offices enjoy 24-hour, low-cost central heating from the government for half a year. Not only does the heat remain on whether buildings are occupied or not, temperatures are automatically set according to a central system. People frequently open windows in the middle of winter to cool their overheated apartments. Since the policy affects 700 million people and 60% of China’s territory, it accounts for a substantial amount of the country’s energy inefficiency. One domestic heat meter company, Centec, hopes the country will do more to clamp down on energy inefficiency from the demand side. Founded in 2000, the company has been adapting technology from northern Europe to the Chinese market while lobbying the government for change. “Our pilot projects in several housing districts of Gansu, Shandong and Hebei have shown that our heat meters, which allow users to monitor and control their heating, can reduce energy usage by 30%. We just need more customers to buy the meters, and that depends on policy,” said Wang Hairong, CEO of Centec. Currently, Centec’s biggest customers are developers of new buildings that are required by the government to install heat meters. Millions of older buildings have yet to be updated. “Along with direct investments from the government, state policies are another driving force that will encourage market mechanisms and private investment,” said Wu Changhua, Greater China director of the Climate Group, an international non-profit organization for the advancement of green policies and technologies. The most crucial mechanism is price reforms. The price of energy ideally needs to increase to include all the externalities such as pollution. “But the government is struggling with inflation, so the price can only increase slowly. We don’t expect to see changes in price in the near future,” said Yang. Private investors also have a key role to play in industry financing, according to China Greentech Initiative (CGTI), a consultancy specializing in green tech solutions in China. But where private investments are directed is crucial: Clean tech that has a bigger impact on helping the environment doesn’t often attract dollars. CGTI’s 2011 Greentech Report, for example, found that while alternative energy and new-energy vehicles have the most beneficial environmental impact, solutions for cleaner industrial activity and green buildings were more attractive to investors as the technology is mature and the market more economically viable. It’s partly up to the government to create incentive structures to better align the two. China’s fast-growing wind power industry, for example, has been boosted by government feed-in tariffs and subsidies. Even though some clean tech sectors are less crowded – meaning investors may reap more benefits – they have to tread a fine line between opportunity and risk. China’s nascent smart grid system is creating a bottleneck for the development of the green market as a whole. Done correctly, a full smart grid connects new energy to the existing supply, helps end-users manage energy more efficiently, and provides a better platform for electric vehicle charging stations. At the moment, China has moved beyond learning about smart grids to small-scale construction. Pilot projects are underway in Beijing, Yangzhou, Tianjin and Jiangxi. Meanwhile, the development of wind energy capacity has outstripped the ability of the grid to integrate the energy produced. Some industry insiders estimate that at least a quarter of wind farms in China aren’t hooked up to the grid, while others say that the amount is at least 50%. Still, there are indications that the government recognizes the problem. Smart grid development has risen as a priority, from a company target for State Grid Corp to a goal in the national development plan. The State Grid investment plan for 2009-2020 includes provisions for US$58.5 billion worth of investment in smart grid technology, according to the Climate Group. And that’s part of the reason why wind farms are being built anyway. Alternative energy firms expect it to be just a matter of time before the grid catches up, said an advisor working at a wind power firm in Shanghai, who asked to remain anonymous. to give a big boost to renewable energy sources. Different from that of Western markets, Yang said, China’s grid emphasizes super high voltage lines over long distances – which helps address the problem of energy transmission over the country’s vast territory. Moreover, it links solar and wind power – which is more easily generated in remote western and northern areas – to the more densely populated southeastern areas of China. More advanced features, like smart meters capable of two-way information communication between end-users and the grid, may come later. The development could open up possibilities, particularly for the solar industry, as individual households would be able to install panels on their roof and sell excess energy back to the grid. In terms of new-energy vehicles, State Grid Corp is also moving ahead with building electric vehicle charging stations. The company said it will build 173 electric-charging points this year – increasing existing stations by sevenfold. These will be built in Beijing, Tianjin, Hefei and Nanchang. Regulators are aware of the benefits of competition for improving quality and lowering prices. According to Climate Group’s Wu, foreign players are already successful in China’s clean energy and energy efficiency sectors. In addition, national research and demonstration programs, as seen with electric vehicles, are also gradually being opened up to foreign firms and joint ventures. But not everyone agrees that China’s clean tech stage is fully open. Foreign players have traditionally found it difficult to participate fully in the renewable energy market. According to Goldman Sachs, foreign companies’ share of the Chinese market has been slashed to 13% from 79% in the last five years. And last year, the US took a dispute to the WTO, arguing that China was illegally subsidizing its wind power equipment manufacturers and effectively locking foreign suppliers out of key parts of its booming market. Despite the fact that CGTI’s Beebe said it’s now been clarified that foreign players are invited to participate, industry insiders say not much has changed. To date, no foreign companies have won the largest projects awarded by the National Development and Reform Commission – though smaller projects with local governments have been taken on. Another reason why Chinese firms may be favored is the difference in costs: Foreign clean tech companies often sell on the strength of superior – but more expensive – technology, which is more cost effective over the entire lifetime of the product. Foreign firms like Vestas, a Danish wind turbine manufacturer, are hoping that China will shift its focus to quality value in the near future. “Vestas has in the past years put a lot of efforts and resources in building up a solid presence [in China], so we are here to stay for the long-term,” said Jens Tommerup, China president of Vestas. Indigenous innovation were buzz words in the latest five-year plan. China plans to increase investments in research and development centers, as well as industry alliances and platforms. The five-year plan aims to bring up the level of expenditure on R&D to 2.2% of the country’s GDP by 2015, up from 1.8% of GDP in 2010. But the reality on the ground is more sobering. So far, domestic companies have not shown much promise in making big, breakthrough technological innovations. China’s solar power industry, for example, is quite mature and domestic firms manufacture over half of the world’s solar panels. Yet, analysts say that solar technological innovation still mostly comes from the US and Europe. At the same time, domestic companies have a talent for incremental innovation and adapting their business models. Usually, this takes the form of importing foreign technology and tailoring it to the local market, setting up local business models and slashing prices. Centec is one such example. The company’s energy meters are based on European heat allocation technology, which can monitor and adjust heat in sub-areas of the same network. The system was then adapted at Centec’s research center in China, and a wireless version of the meter was developed at lower costs. The adaptation suits China for two reasons: Prices are lower across the board, and wireless metering is an emerging trend in new buildings. “We refer to foreign technology, but it’s not a copy,” Centec’s Wang said.